Tall girls never have it easy when it comes to finding the right pair of jeans. The denim often fits too short due to an inseam that's designed to fit someone of an average height. That's why we are always excited to come across a cool pair that fits the bill for the taller fashion girl. Enter this statement-making embroidered pair. Not only were they created to fit those with a longer inseam, they are heavily inspired by one of the industry's design darlings of the moment: Gucci. We recommend wearing them just as pictured here, with a few tweaks depending on the season. A white lace-up shirt is a great update on the classic but doesn't overshadow or overwhelm the bold design of the jeans. Complete with a pair of sleek flat sandals for now, but as the weather starts to cool, a pair of pointed-toe ankle boots will do the trick. Scroll through to see the cool embroidered jeans and to shop the full look. A white lace-up top is great year round. 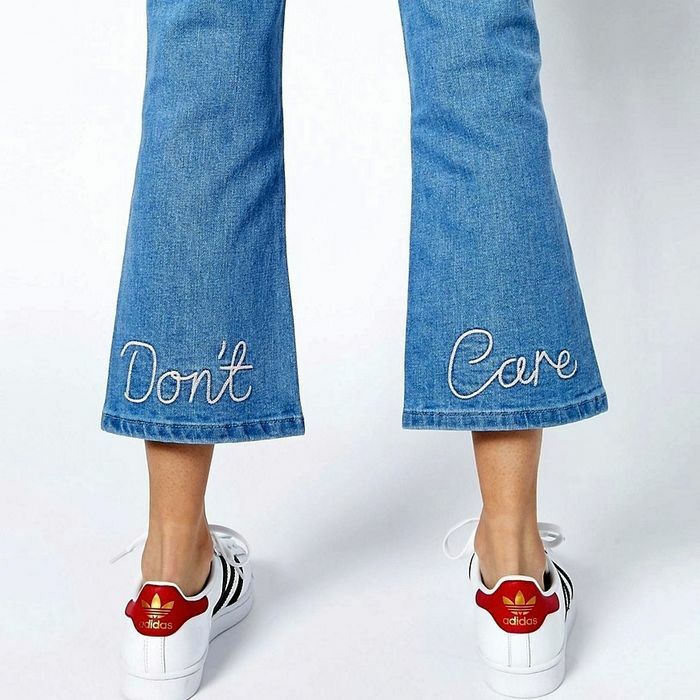 Embroidered jeans are an editor favorite this season. These hybrid espadrille sandals are perfect for the minimalist. 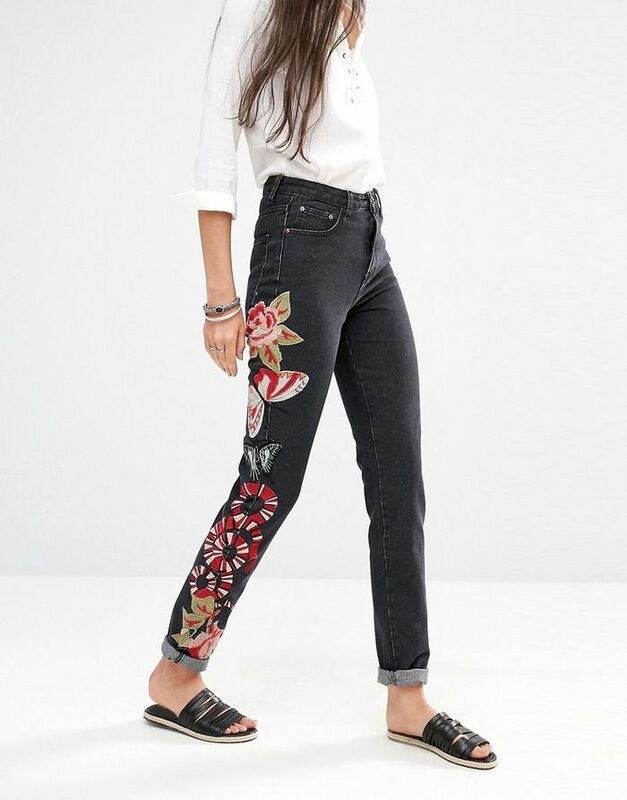 How would you wear this pair of embroidered jeans? Share in the comments below!